Whyte has a long record of college coaching experience. 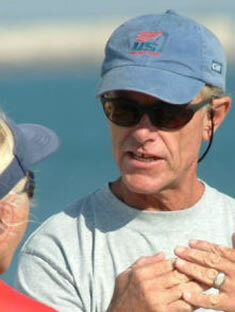 The Wickford, R.I., resident served as the head sailing coach at Boston University twice (from 1976 until 1985, and again in 1992 until 1995), leading the team, which was slated to be dropped, to six national titles and numerous regional championships, as well as improving the co-ed and women’s team rankings to top 10 and top five positions. In addition, from 1989 to 1992, Whyte served as both head sailing coach and assistant sailing master at the Massachusetts Institute of Technology, directing all freshman and varsity activities as well as teaching physical education classes each semester to 120 novice sailors.